One of my colleague loves Pluto's, a restaurant in Palo Alto, and took me there for lunch. Pluto's is famous for their tri-tip sandwiches and their large choice of salad bar. I had a good lunch there but what was memorable is the Pecan Bar I had for dessert! 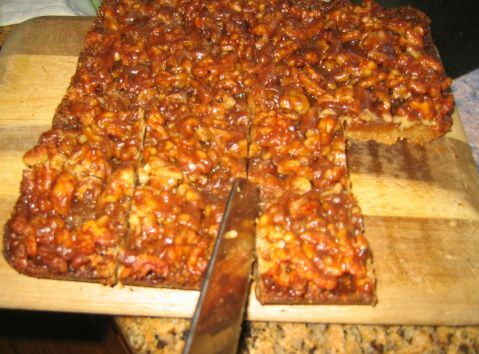 The Pecan bar was delicious, rich and decadent. I just love it so I decided right then that this is definitely what I should bake this week-end. 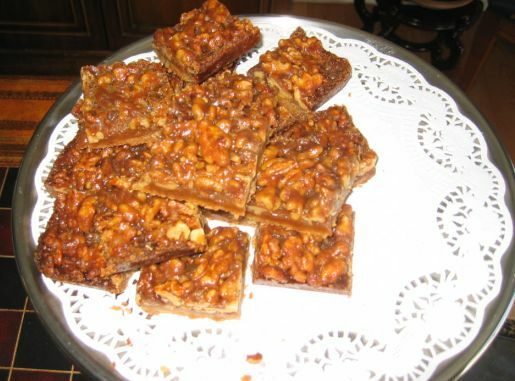 Friday finally came and true to myself I went on and looked for a few recipes until I found something similar to what I had at the restaurant: a Maple Walnut Squares. 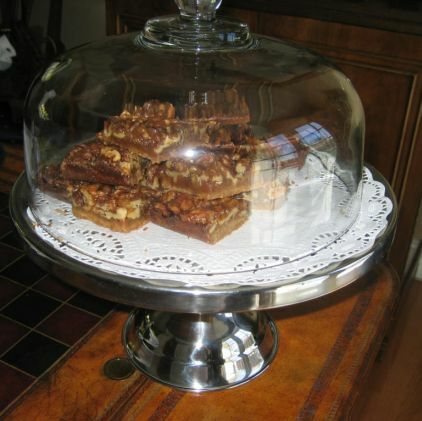 I even duplicate and use the same type of display as the restaurant for my Walnut squares. 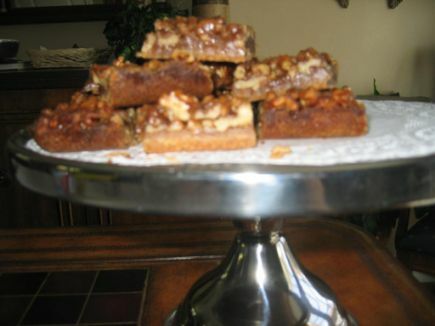 The Maple syrup called in the recipe gave these toffee like walnut bars their distinctive maple flavor. Too yummy to resist... I had to have a piece! 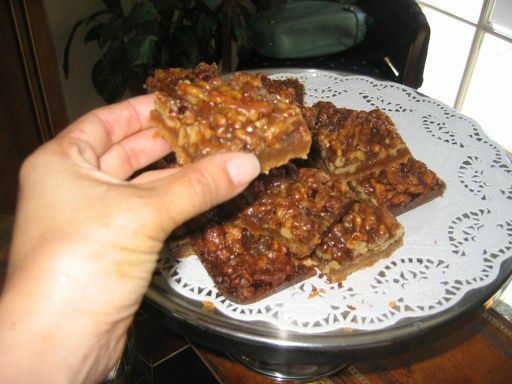 The bar is soft when warm and become crisp and brittle when cold. I actually like it at room temperature. 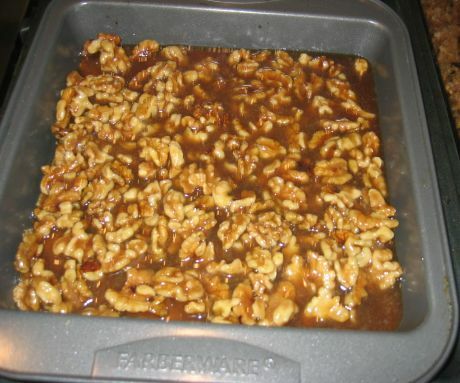 Note: I never knew why Maple syrup was so expensive but after finding out that in early spring the warm days and cold nights start the sap flowering in sugar maple trees. It takes 40 gallons of sap to produce only one gallon of the concentrated syrup. The dough is very easy to make. 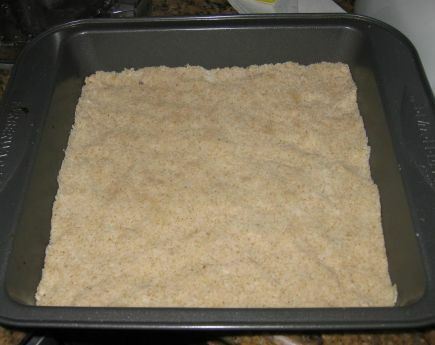 Flour, butter and brown sugar is combined and mixed together. 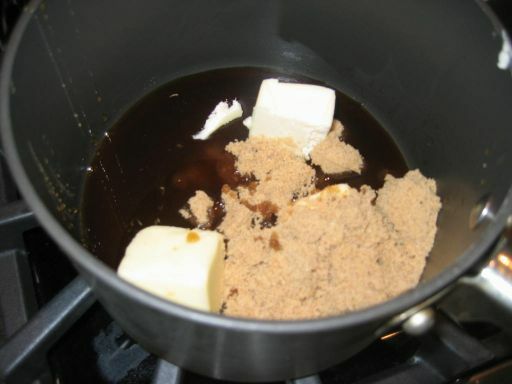 Maple syrup, Brown sugar and butter are mixed together and then heated. 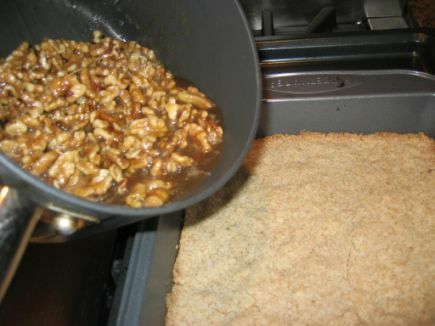 Once the mixture is hot, cream is added once the mixture is bubbling. 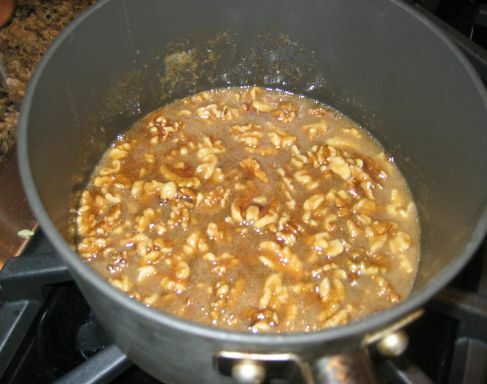 Next the walnuts are then added to the mixture. 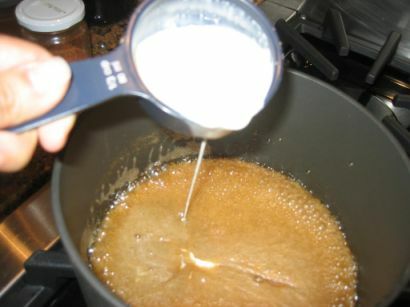 The mixture is poured into the base. And then the tray will go into the oven for 20/25 minutes.